11. Singh, S.T., Gayatri Priya, N., Kumar, J., Rana, V.S., Ellango, R., Joshi, A., Priyadarshini, G., Asokan, R., Rajagopal, R. 2012. Diversity and Phylogenetic Analysis of Endosymbiotic Bacteria from Field Caught Bemisia tabaci from Different Locations of North India Based on 16S rDNA Library Screening. Infection Genetics & Evolution. 13. Gayatri Priya, N., Ojha, A., Kajla, M.K., Raj, A., Rajagopal, R. 2012. Host Plant induced variation in gut bacteria of Helicoverpa armigera. PLoS ONE. 7(1): e30768. http://dx.plos.org/10.1371/journal.pone.0030768. 16. Adlakha, N., Rajagopal, R., Kumar, S., Reddy, V.S., Yazdani, S.S. 2011. Synthesis and characterization of chimeric proteins based on cellulase and xylanase from an insect gut bacterium. Appl Environ Microbiol. 77(14): 4859-66. 19. Rajagopal R., Arora N., Sivakumar S., Rao NGV, Nimbalkar S.A. and Bhatnagar R.K. (2009) Resistance of Helicoverpa armigera to Cry1Ac toxin from Bacillus thuringiensis is due to improper processing of the protoxin. Biochemical J. 419: 309 – 316. 20. Sivakumar S., Rajagopal R., Raja Venkatesh, G. , Srivastava A. & Bhatnagar R.K. (2007) Knockdown of Aminopeptidase-N from Helicoverpa armigera larvae and in transfected Sf21 cells by Rna Interference reveals its functional interaction with Bacillus thuringiensis insecticidal protein Cry1Ac. J. Biol. Chem. 282 7312-7319. 21. Rajagopal R,. Mohan S. and Bhatnagar, R.K. (2006). Direct Infection of Spodoptera litura by Photorhabdus luminescens Encapsulated in Alginate Beads. J. Invet. Pathol. 93: 50 – 53. 22. Rajagopal, R.,Thamilarasi, K., Raja Venkatesh, G. Srinivas, P., and Bhatnagar, R.K. (2005). Immune cascade of Spodoptera litura: cloning, expression and characterization of inducible pro-phenol oxidase. Biochem. Biophy. Res. Commu. 337: 394 - 400. 23. Ahmad, T., Rajagopal, R. and Bhatnagar, R.K. (2003). Molecular characterization of chitinase from polyphagus pest Helicoverpa armigera. Biochem. Biophy. Res. Commu. 310: 188 – 195. 24. Arora, N., Ahmad, T., Rajagopal R. and Bhatnagar, R.K. (2003). A constitutively expressed 36kDa exochitinase from Bacillus thuringiensis HD-1. Biochem. Biophy. Res. Commu. 307: 620 – 625. 26. Mohan S., Rajagopal R. and Gaur H.S. (2003) Foliar application of Photorhabdus luminescens, symbiotic bacteria from entomopathogenic nematode Heterorhabditis indica, to kill cabbage butterfly Pieris brassicae. Current Science. 84 (11): 1397. 27. Rajagopal R., Sivakumar S., Agrawal N., Malhotra P.& Bhatnagar R.K. (2002) Silencing of midgut aminopeptidase N of Spodoptera litura by dsRNA establishes its role as Bt toxin receptor. J. Biol. Chem. 277 46849-46851. 28. Rajagopal R. and Bhatnagar R.K.(2002) Insecticidal toxic proteins produced by Photorhabdus luminescens akhurstii, the symbiont of Heterorhabditis indica. J. Nematology 34 (1) 23 – 27. 29. Reddy VS, Leelavathi S, Selvapandian A, Rajagopal R. Giovanni F, Shukla V and Bhatnagar RK. (2002) Analysis of chloroplast transformed tobacco plants with Cry1 Ia5 under rice psbA transcriptional elements reveal high level expression of Bt toxin without imposing yield penalty and stable inheritance of transplastome. Molecular Breeding 9: 259 – 269. 31. Selvapandian A, Arora N, Rajagopal R, Jalali SK, Venkatesan T, Singh SP and Bhatnagar RK (2001) Toxicity analysis of N- and C- terminus-deleted vegetative insecticidal protein from Bacillus thuringiensis. Appl & Env. Microbiol. 67 (12): 5855-5858. 32. Dasgupta DR, Ganguly,AK, Sirohi A, Pankaj and Rajagopal R. (1995) Plant parasitic nematode management: physiological and molecular approaches. In Swarup. 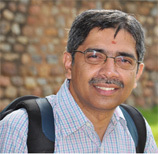 Dasgupta & Gill (Ed) Nematode pest management, an appraisal of eco-friendly approaches, pp 12 – 27. Nematological Society of India, New Delhi. 33. Ganguly AK, Rajagopal R. and Dasgupta DR. (1993) Studies on two oxidoreductases and polyphenol oxidase from cowpea infected by M. incognita Race 1. Indian J. Nematol. 22: 139-145. 34. Rajagopal R., Ganguly AK and Dasgupta DR. (1992) Qualitaitve and quantitative changes in protein in cowpea inoculated with the root knot nematode M. incognita Indian J. Nematol 21: 113 – 122.